A federal judge has turned down Michigan Attorney General Bill Schuette’s request to file a brief supporting a group of pastors suing the state over the Flint water crisis. He says it’s Schuette’s job to represent the state in the case. 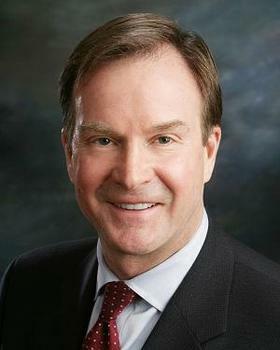 Schuette's office is defending the state and Governor Rick Snyder in the lawsuit. Schuette also tried to file a separate argument backing the group suing the state. Judge David Lawson rejected the request, saying Schuette can’t be on both sides of the case – that crosses an ethical line that undermines his client’s position. The Snyder administration is trying to get Lawson to reverse an order that requires the state to deliver bottled water to every home in Flint that doesn’t have a working water filter. Lawson called Schuette’s filing “superficial posturing” that does nothing to help resolve the case. Schuette’s spokesperson says he “respectfully disagrees” with the decision.